The LG Revolution for Verizon Wireless is an Android smartphone capable of 4G data speeds. The LG Revolution offers HD support for streaming, playing and recording video multimedia, and sports a 5 megapixel camera plus a 1.3 megapixel front facing camera for video chat. Use mobile hotspot with qualifying data plan to connect other Wi-Fi enabled devices and access thousands of apps via Android Market. 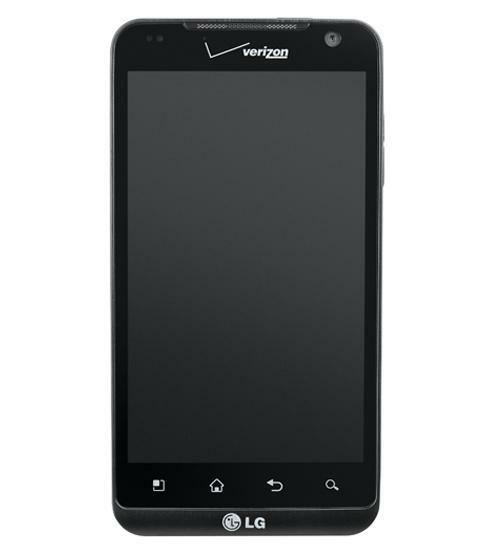 Verizon Wireless continues to build its portfolio of 4G phones with the LG Revolution. Sporting a 4.3-inch display and swift 4G (LTE) data speeds, the Revolution is the first Android phone to come with an app to view streaming movies from Netflix. Take a look at this review, as Wirefly's Bob Kovacs demonstrates what the LG Revolution can do. Verizon Wireless has been delivering the 4G phones lately. The LG Revolution becomes the third 4G phone in Verizon's line-up, following the HTC ThunderBolt and the Samsung DROID Charge. Like those phones, the Revolution has a 4.3-inch screen and lots of storage for your video, audio and image files. LG Revolution First Impressions and More!